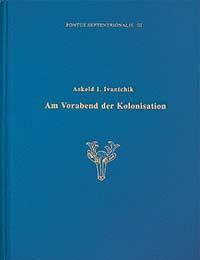 This volume is devoted to the analysis of Greek literary tradition concerning Eurasian nomads (Cimmerians and Scythian) and reflecting the early stage of their relations prior to and during the first period of Greek colonization of the north seaboard of the Black Sea. The relations between the classical world and the steppe nomads in this periods have attracted little attention from scholars, although the principal views of ancient Greeks on the steppe barbarians were formed during this time. Although these views changed significantly, some conceptions formed in this period were preserved in classical literature up to Byzantine times. 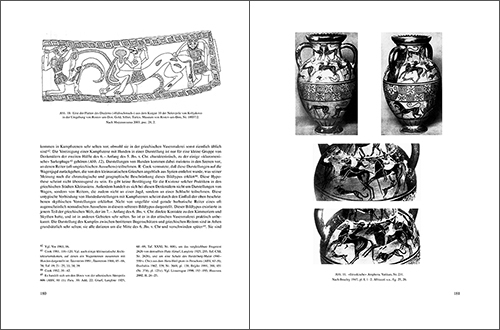 In the first Part of the book the author analyses sources reflecting the period prior to the direct contacts of Greeks with Eurasian nomads and foundation of the Greek colonies on the Black See. 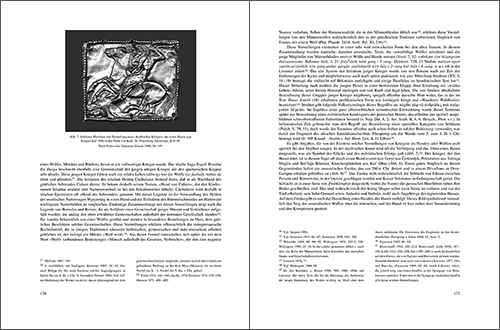 Special subjects of the study include the question of references to steppe nomads in the Iliad and Odyssey of Homer, the origin of idealization of barbarians and the notion of the «noble savage». Special attention is paid to the reconstruction of the views of ancient Greeks on the Black Sea in the period before the beginning of colonization. 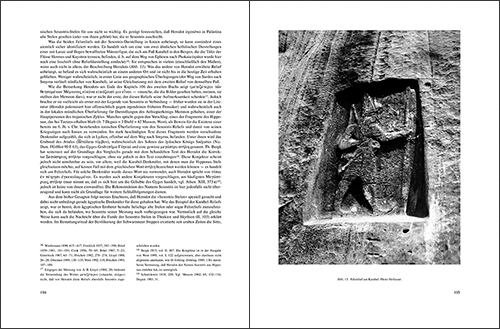 The second part is devoted to the period of first contacts, which took place mostly during Cimmerian and Scythian raids into the Near East and Asia Minor in the 7th century BC. The author discusses the traditions connected with the foundation of the first colonies on the Black Sea, in particular Sinop and Istria, and the influence of Scythian folklore and epic tradition on ancient Greek literature. S. 194. S. 195. Abb. 13. Felsrelief am Karabel. Photo Verfasser. TEIl 2. Die Griechen und die eurasischen Nomaden im 7. Jh. v. Chr. Erste Kontakte (S. 110–112). Charlotte Schubert, Historisches Seminar, Universität Leipzig. Burkhard Böttger, Dmitrij B. Šelov Amphorendipinti aus Tanais. Pontus Septentrionalis I, Tanais 1. Moskau, 1998.